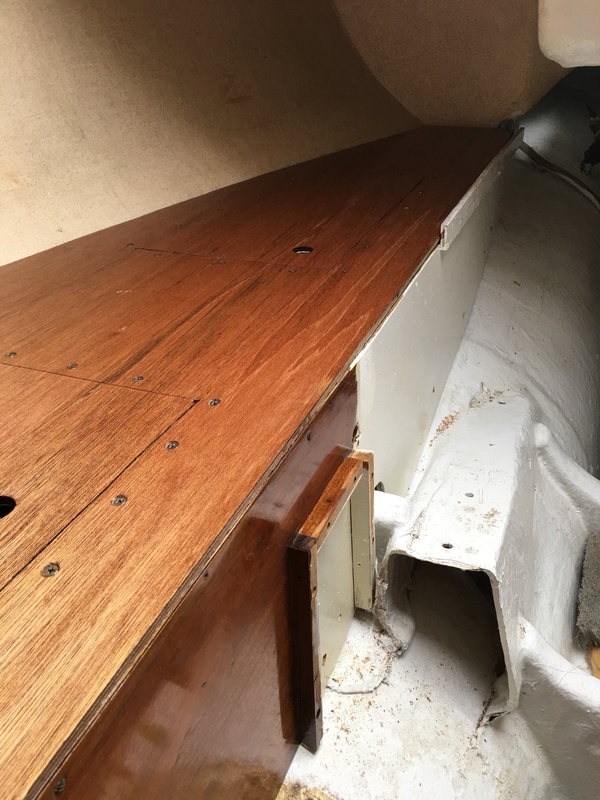 The Money Pit – Page 6 – About the restoration of our 1980 Marieholm 261. Just before Christmas I ran down to Strait Lumber in Denver to pick up a couple of sheets of 3/8″ marine plywood. They’re they only place in the Denver metro that has that thickness. 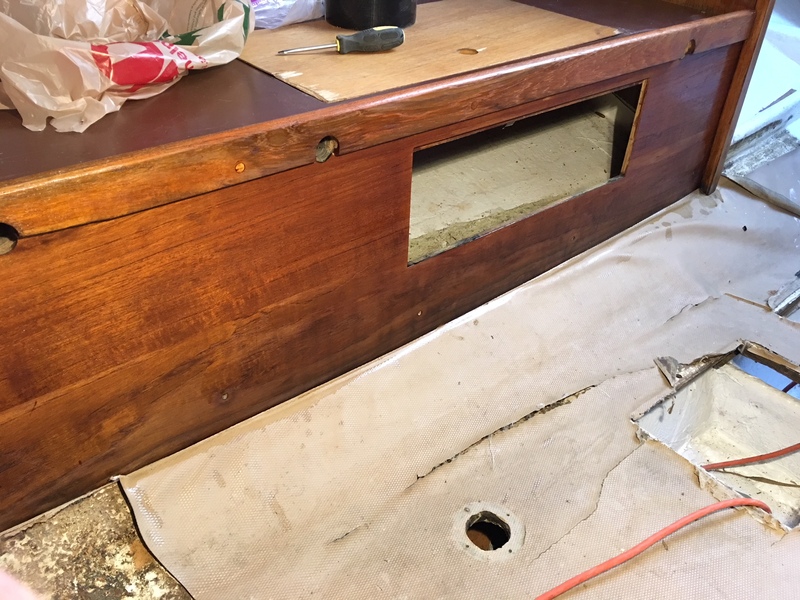 I needed to rebuild the quarter berth decking and v-berth decking. 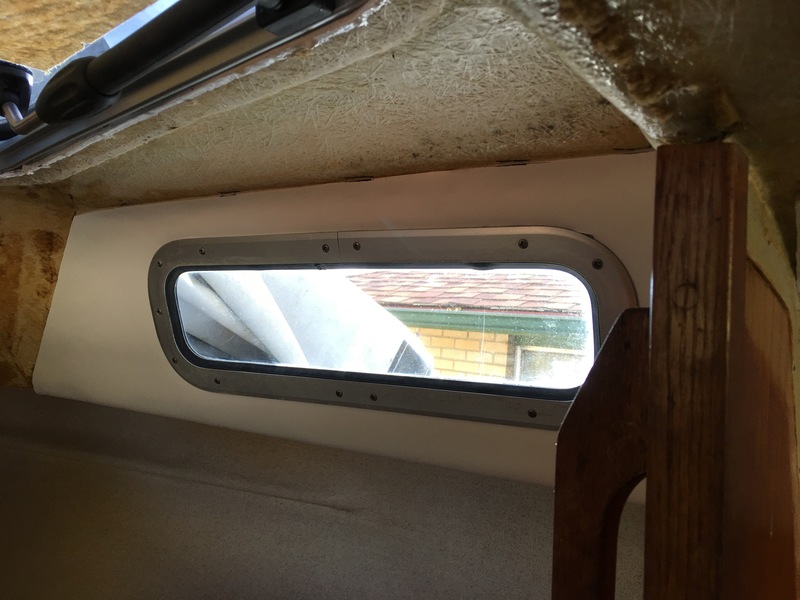 I managed to get the quarter berth done over Christmas but am still working on the V-berth as I was waiting for a warm day to take some measurements. 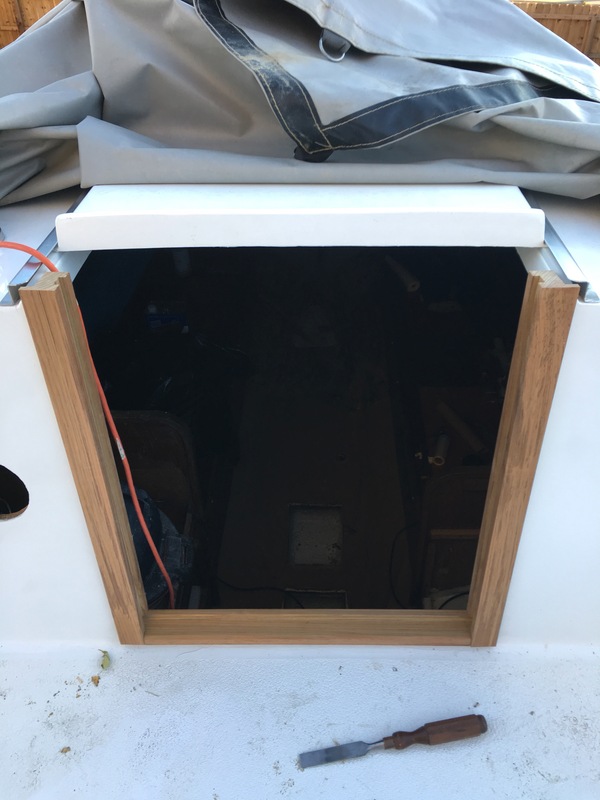 The bottom side of the decking is painted white like the inside of the quarter berths for maximum light reflection and the top side has 3 coats of varnish on it for protection. That forward compartment might be big enough for a couple of batteries, I’ll have to take some measurements. 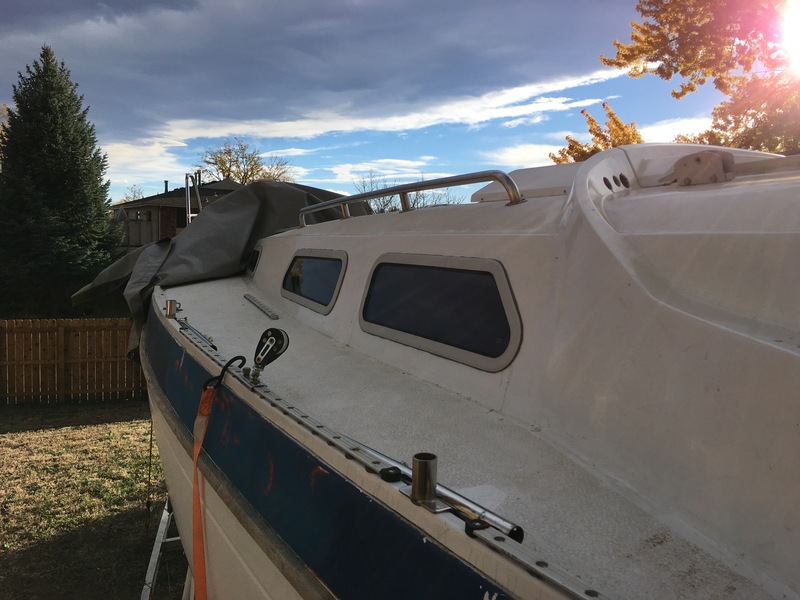 Yesterday I washed the boat. 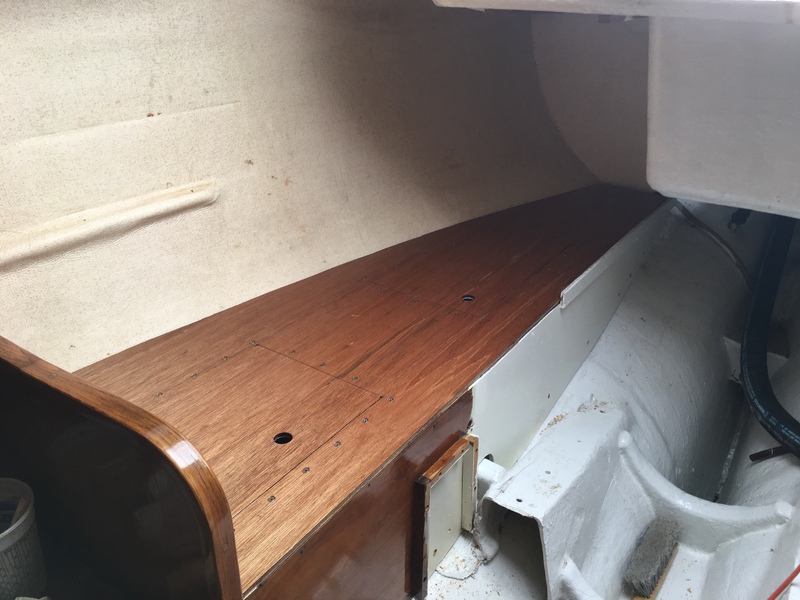 I knew water was getting into the boat but I wasn’t sure where so I washed the boat with my friend Ryan inside to check all the hardware to make sure I had sealed it up correctly and to find the leak. 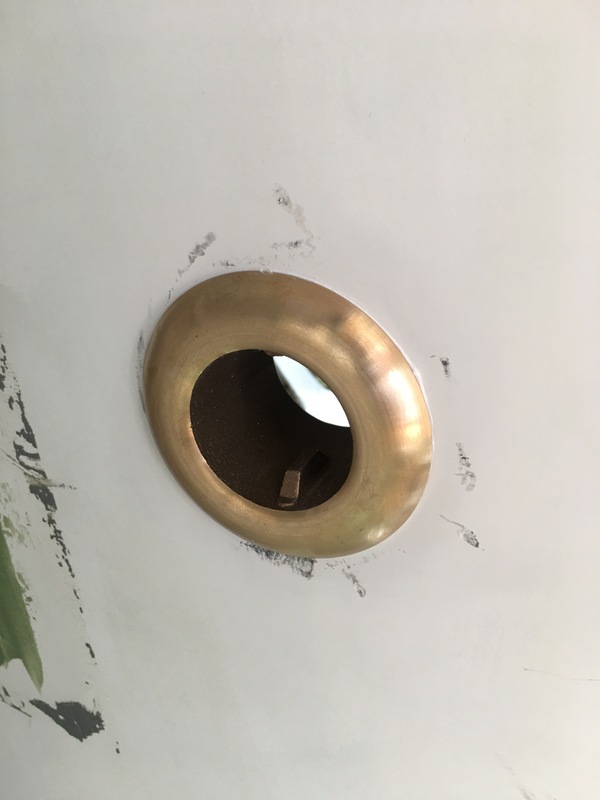 Turns out the leak was where I’d removed the rub rail on the outside, the screw holes were leaking. 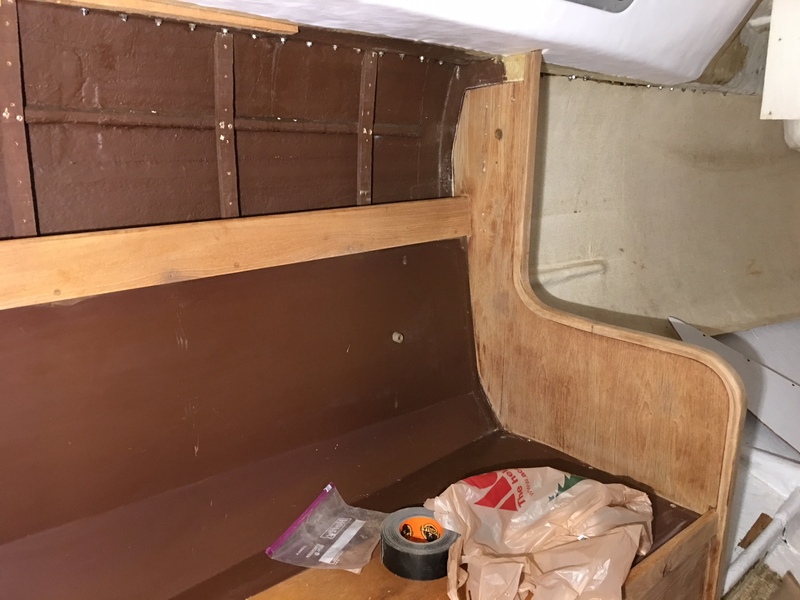 All the hardware I had bedded with butyl tape had no leaks and I am super stoked to find that out. 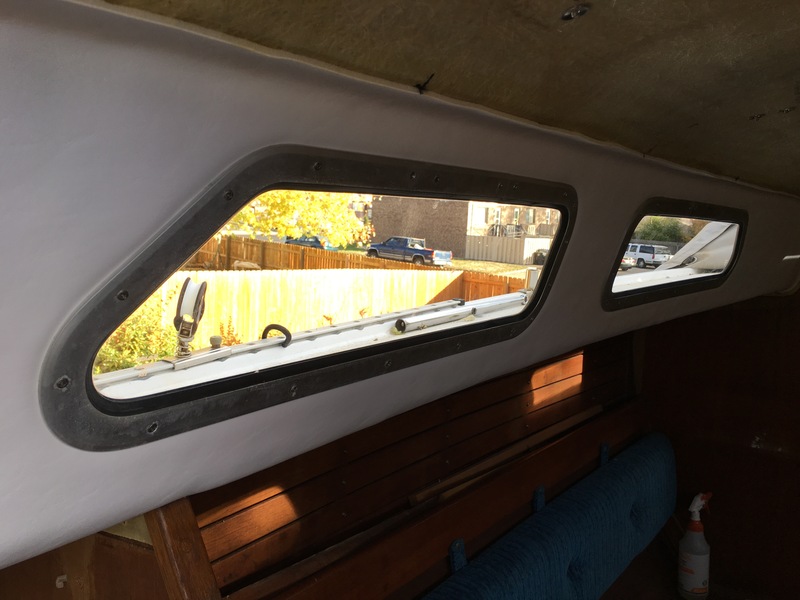 I’ll patch those holes in the side and then start putting interior pieces back in and wire the boat. I got some new varnish to try. I’m usually an Epifanes man but with it taking 1 day or more to dry per coat and at $50 a quart I had to try something else. 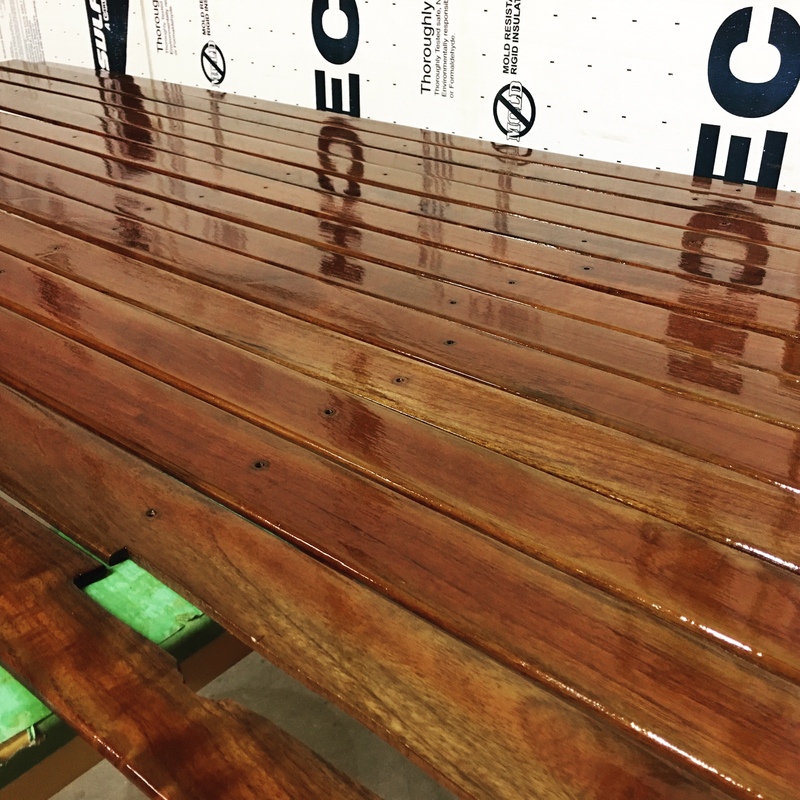 TotalBoat has been advertising their “Lust” varnish for a while, saying you can recoat in an hour, promising high build and good gloss and it’s all true. This varnish is amazing, as you can see for yourself. First coat of varnish. Looks good, but it should look even better after 4 or 5 coats. 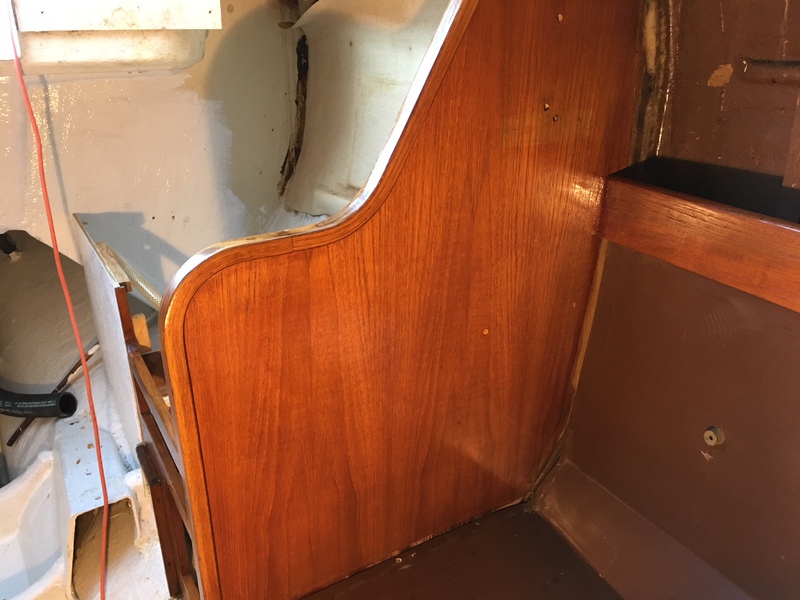 There’s a video attached showing the chatoyancy in the mahogany. IMG_4867 — video link to show the chatoyancy of the mahogany. 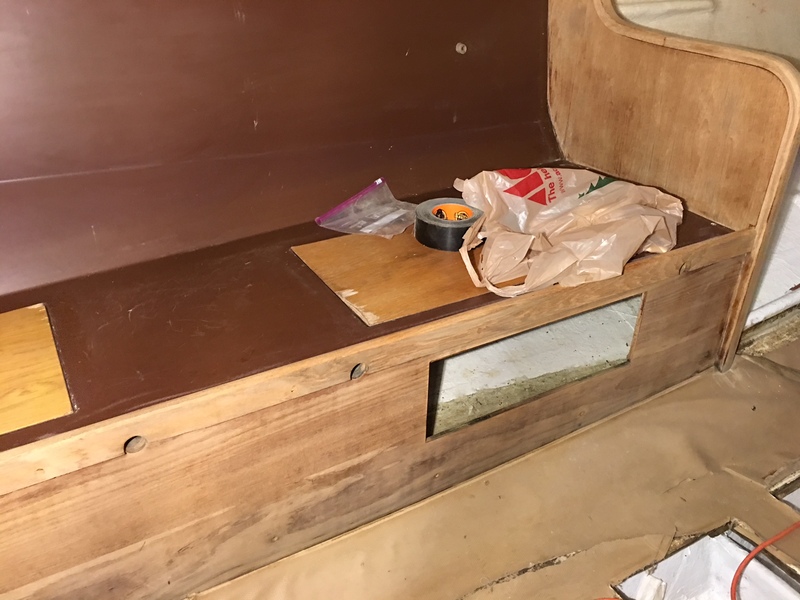 Finally got to the point that I could work on the interior woodwork. 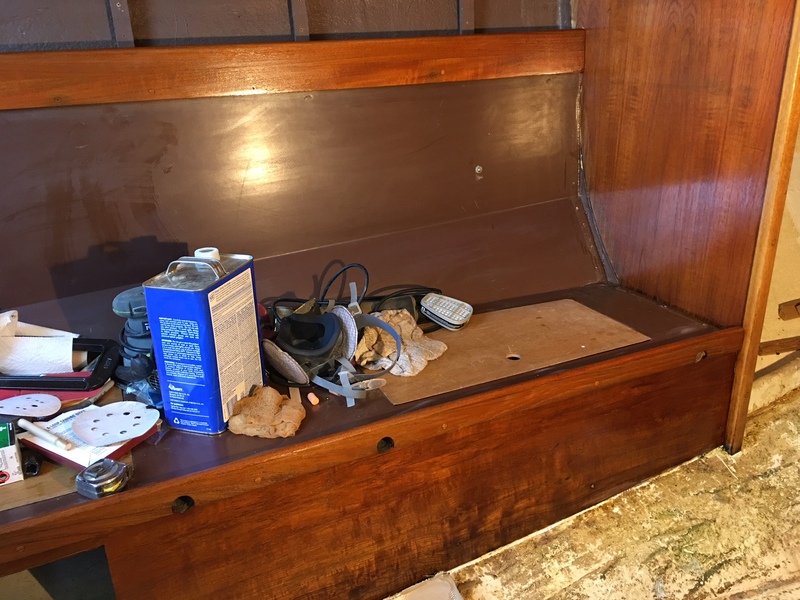 This is after stripping all the varnish and sanding in preparation for new varnish. I’ve started varnishing but don’t have pics of that yet. Most of the fleet home for the winter. 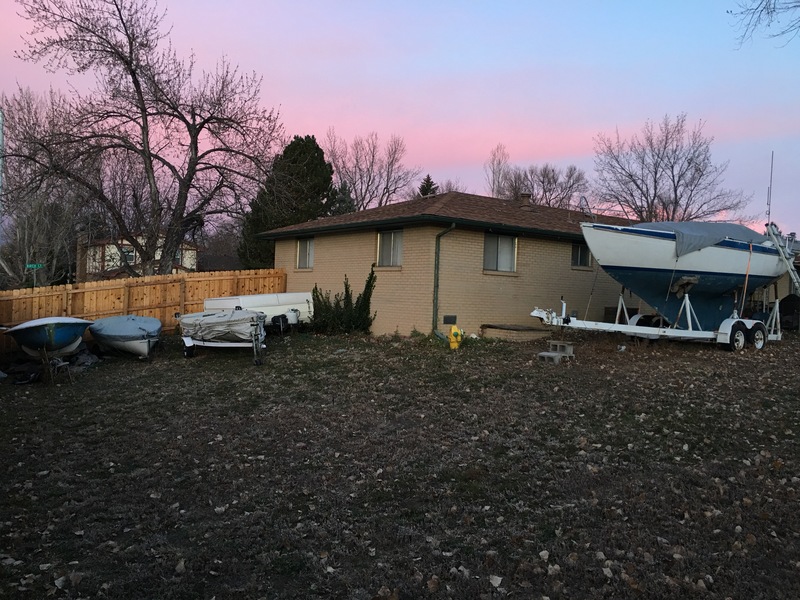 Back yard full of boats. 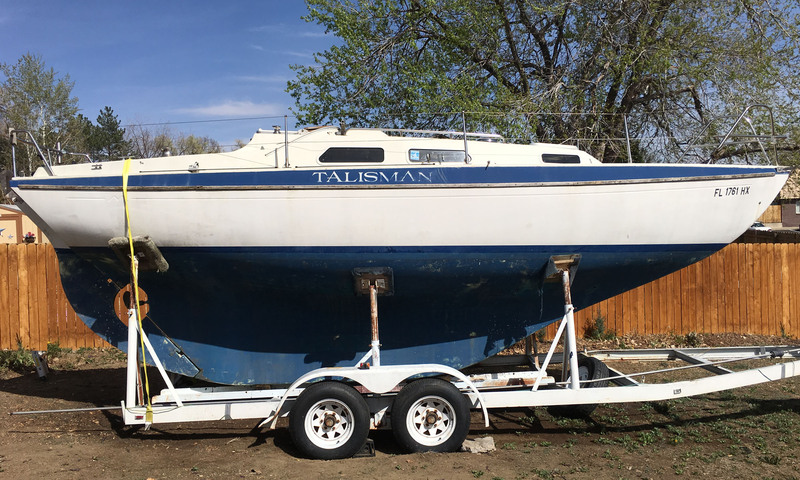 There are still 2 more at the lake for now but the bulk of the fleet is home. Second version of this instrument panel I’ve made. 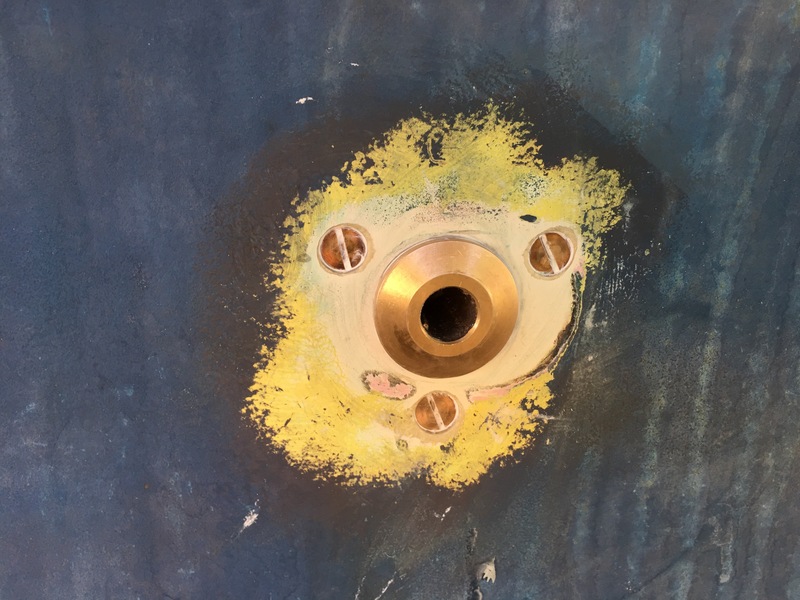 I neglected to make a place for the engine stop knob on the first version. Works well, new warning lights installed. I wanted to install it in the boat but I realized if I do I can’t test start the engine before I put it back in the boat next year so it’ll stay out for the time being. The originals were glued to the boat with 5200 and I destroyed one getting it out. These new ones were made from teak with help from Kyle and his new table saw. Turned out great! 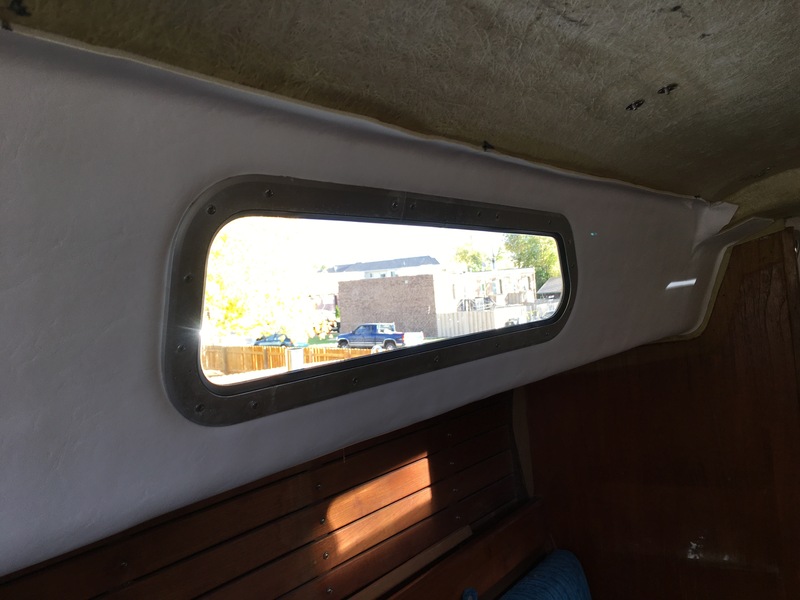 Because the windows sandwich headliner on the interior of the boat I had to get that glued in before I put the windows back in… and I needed the windows back in so the boat was weatherproof before winter. 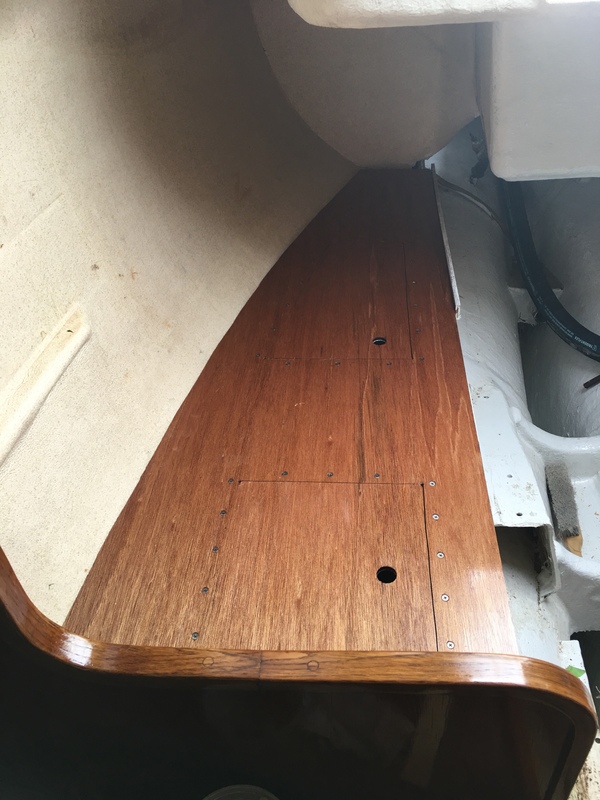 I was extremely nervous gluing the headliner back in. It goes on with contact cement so you get one shot to get it right or else you have to tear it out and wire brush the foam off and clean it all with acetone again before the next shot. Help from Lorena and Ryan made this an easy job with no mistakes. It turned out great. 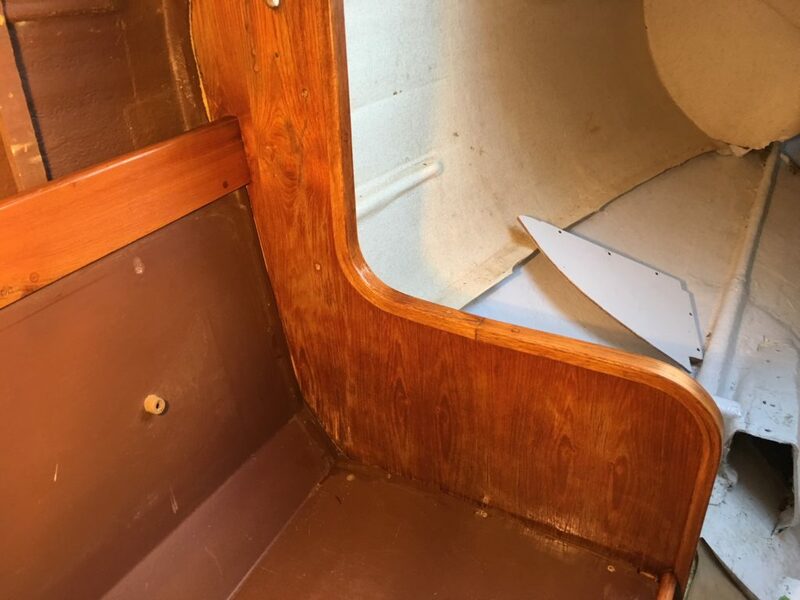 The through-hulls that were originally in the boat were gate valves, a big no-no on a sailboat so they had to be replaced. The big one is the exhaust. The Yanmar exhaust is 2″, while the Volvo was 1.5″ (of course) so that had to be swapped out for a bigger one.